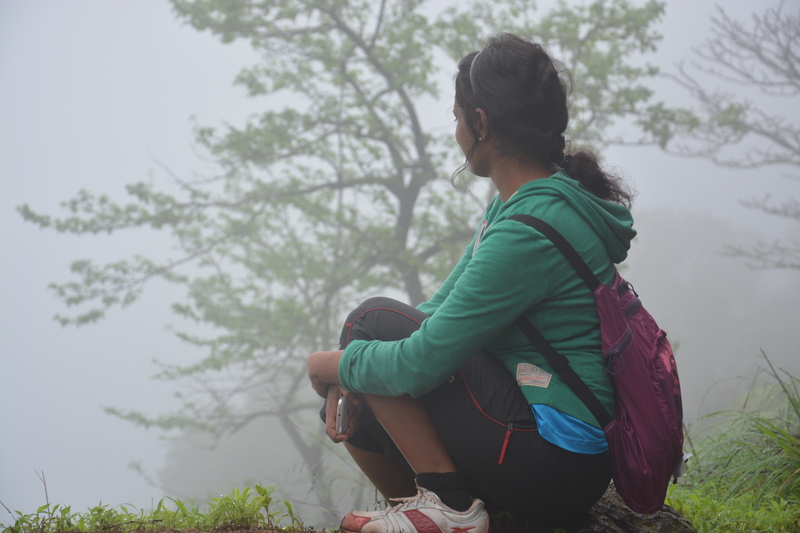 Some trips are awesome because of the place and some because of the people you travel with..Trek to Matheran was something I was looking forward to due to the folks I was traveling with…one masti group it was. It was a 3 day trip I was organizing with GHAC. 17 of us started off from Hyderabad to Karjat on Thursday night. The train journey was fun with us playing Mafia all along and timepassing. 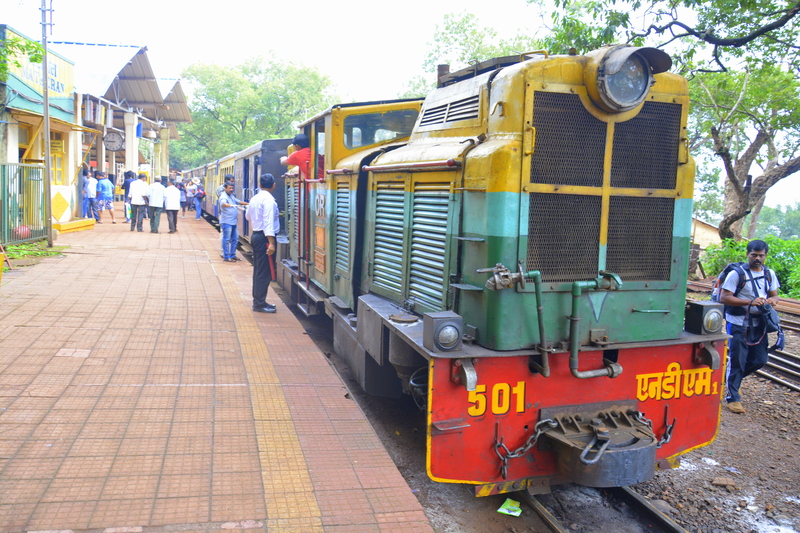 We reached Karjat by 11am on Friday. Had some breakfast, packed some lunch and we started off to Ambewadi in auto’s which is like a 40 mins drive from Karjat. 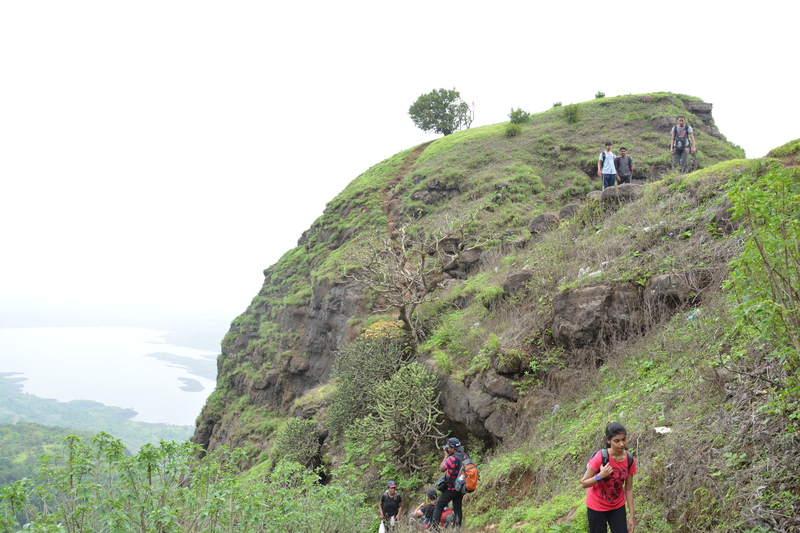 Ambewadi is a village at the base of Matheran from which we have a trek route called as Shivaji footsteps. 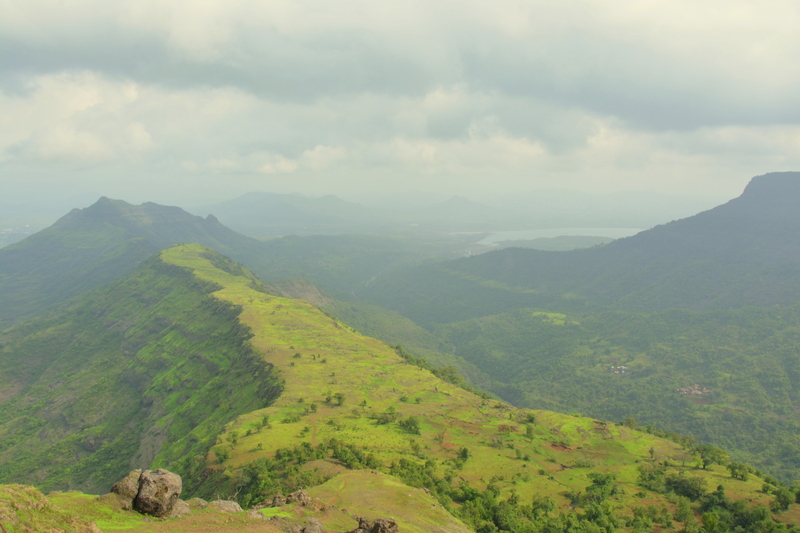 We could see our destination ‘One tree hill’ from the bottom from where we would enter Matheran. “One tree hill” our destination from the base. We started off our climb in the hot and sultry afternoon. Just a few minutes down the way, folks started going down due to exhaustion due to the mad heat. We took some breaks and continued our ascend. We passed some scenic views and how much ever exhausted we were, photo ke liye all time ready 🙂 . 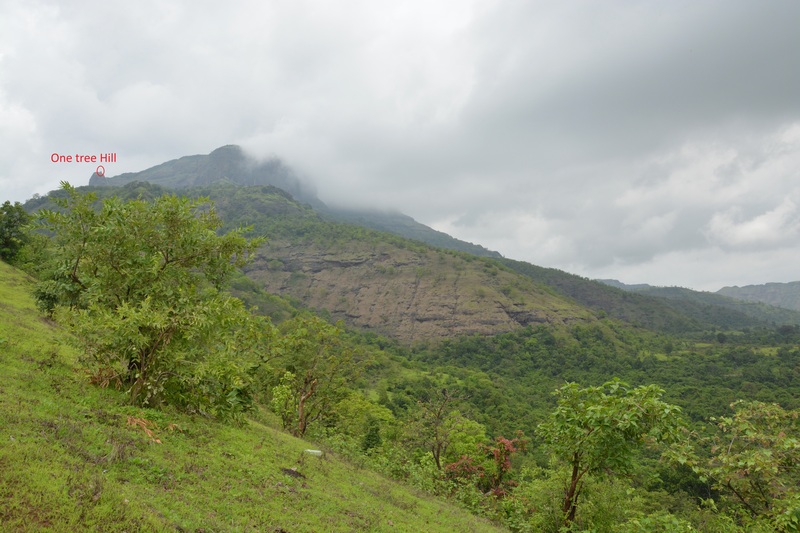 After a couple of hours trek, we reached the base of the mountain onto which we need to get on, to enter Matheran and then it started to drizzle finally!!. We found a well which gave some water to drink as all our water bottles were close to empty. 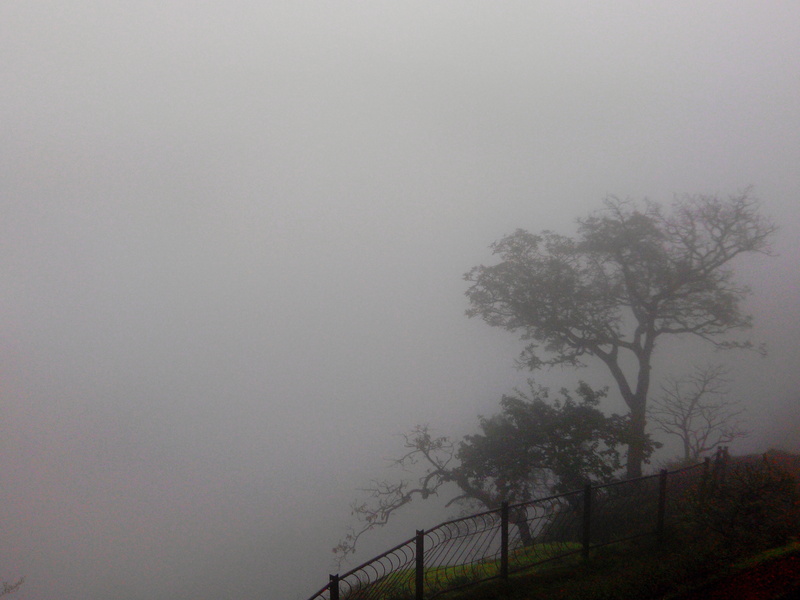 We could see foggy clouds passing over and finally the feel of Matheran started to creep in. 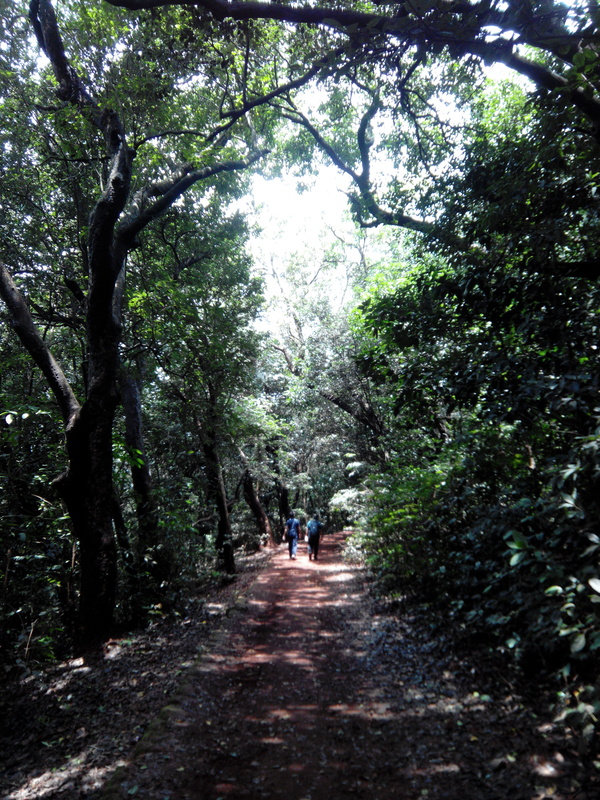 We continued our path which took us through a beautiful forest. It was the most amazing part of the whole climb. 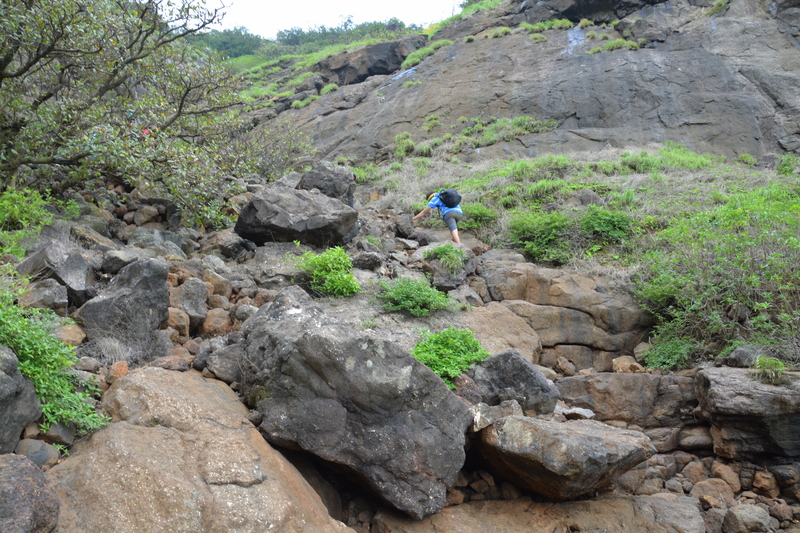 We then started climbing onto the rocks to reach the top. After a 3.5 hrs of climb we finally made it to the top to One tree hill. It was again time for an achievement photo shoot :P.
After some hot green tea near a tea shop we proceeded to go to our hotel. A small set up run by an old couple, old hotel but suits our needs. As we did not stop to have our packed lunch during the climb, once we reached the hotel 17 hungry food starved souls fell on the food which must have vanished in 10 mins 😛 ..The hotel guy was watching us with amusement the way we were eating that I had to go tell him that we trekked up and did not have food hence the view he was witnessing. 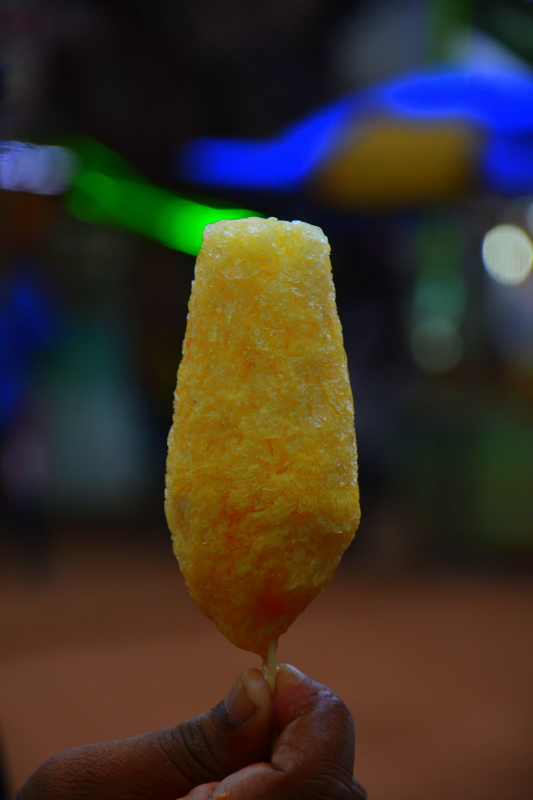 We took a break, rested for a sometime and then walked down to the market to look around. It was raining and the weather was awesome. 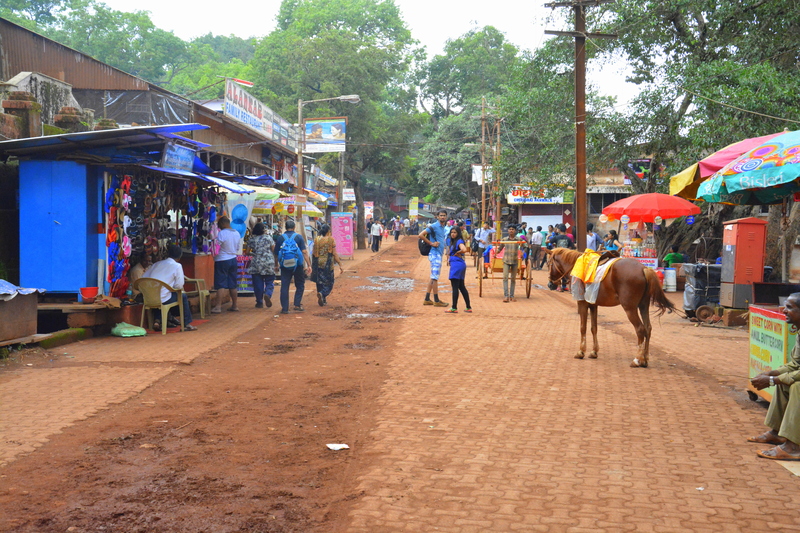 Vehicles are not allowed in Matheran, so all you see are horses everywhere to take you around. We had a nice fulfilling dinner and hit the sack. Day 1 ended. Next day we wanted to see the sunrise early morning, but as the whole place was filled with fog, there was no visibility. 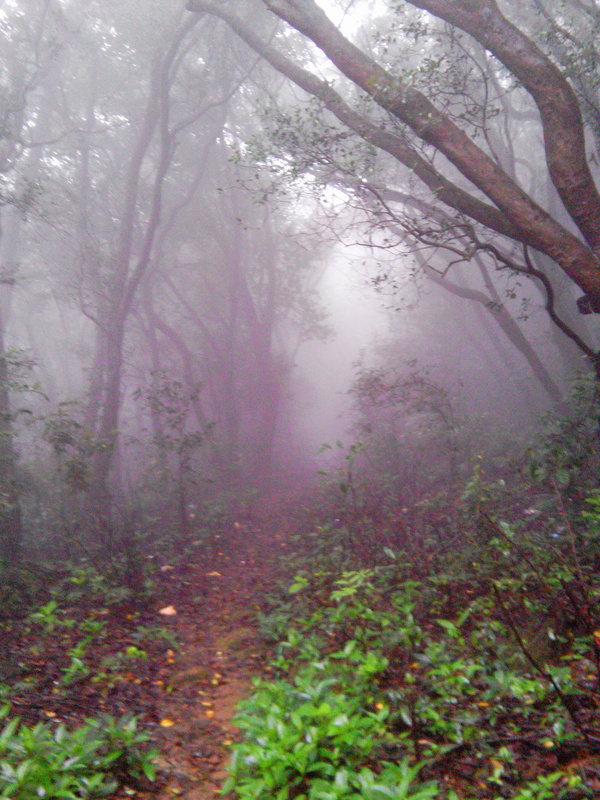 We got up around 6am and went to Rambag point which is like Matheran’s small sunrise point. Standing on the edge of the mountain all we could see was a white sheet of fog passing over us. The place was beautiful with misty fog, trees fresh from rain, damp paths..we took a small trail through the trees which took us to a grave of a 101 year old person. We came back to our hotel, had some poha and eggs for breakfast and started off to Louisa point. We passed through some other view points with the photographers now clicking photos at the rate of 1 pic per 30 sec..walk 10 steps..click..walk another 10 steps..click 😛 .We reached the echo point where we tested it out by shouting some names out..Sholay ka ‘Basanti’ was also remembered here..
Also called Honeymoon point was also touched which looked more like a suicide point – Name justified, no comments :P… We then proceeded to Louisa point by afternoon and the views were amazing..we could see the awesome Sahyadri ’s range right from Kalavantin, Prabalgad in our front..alang madan kulang to our right. We at Lousia point with Kalavantin in the background. We then proceeded back to the market and had our lunch and started off to the Garbut point which was supposed to have one awesome view. We walked along the railway track and from a point turned into the forest. Walking among trees always makes me feel at peace..ommm. 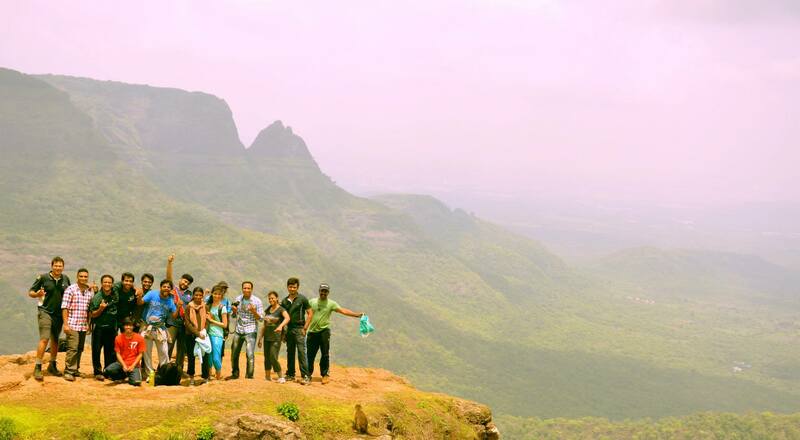 We reached Garbut point and what a view it was..the best view Matheran has to offer. We enjoyed the views and some gyan by Mr.A and relaxed for sometime. 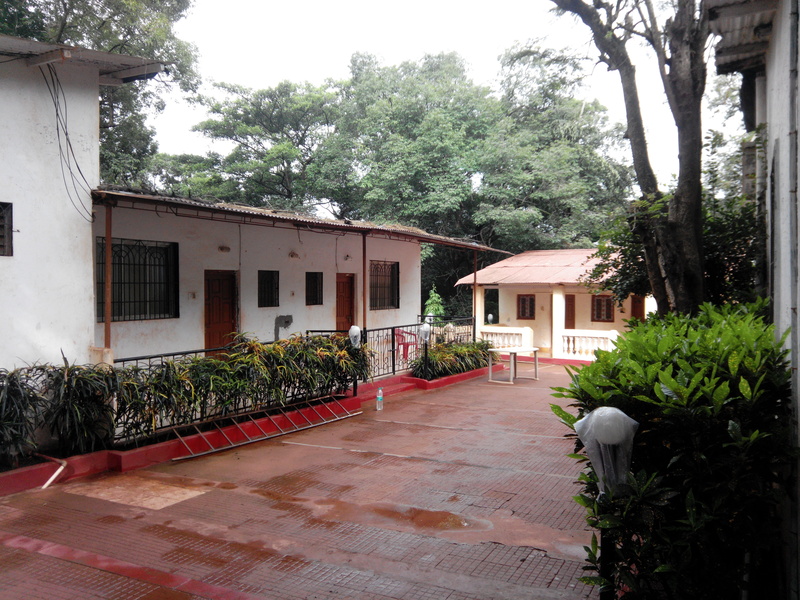 Matheran is a shoe lover’s paradise especially for women. The streets are filled with footwear stalls with the latest variety on display. 4 of us girls ended up with around 35 pairs by the end of the trip..We even have lot of shops selling Chocolate fudge, squash, chikki..etc..
Our original plan was to trek down from Rambagh point till Pokerwadi village and reach Karjat, but we decided to skip trekking down, and instead took the toy train which would take us till the end of Matheran, from where we can get a Taxi to take us to Neral. As we had some time we did a small hike to Mount Barry point. After our tummy’s full we just crashed on the platform and waited for our train to take us to Hyderabad..once we got in, some folks rushed to catch some sleep while others got into games.. what all games we played.. Literally some were the games which I must have played when I was in my 1st class..seeing all grown ups play them again and have a laugh about it was awesome..
Next Post Children of the forest.. wow!! this looks amazing compared to time I’m there.